Halloween is almost here and I’m already starting to decorate my home! When it comes to crafts, I tend to start them but never finish any of them. When it comes to wreaths, I’m even worse. 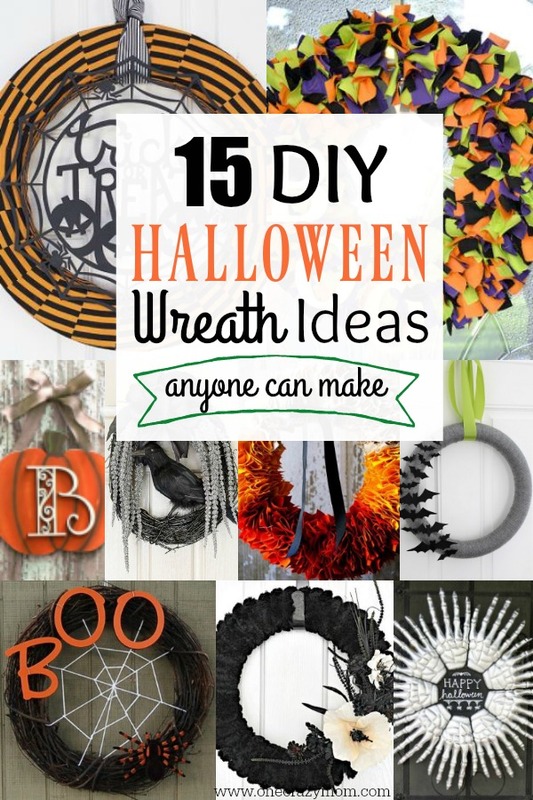 These wreath ideas are a whole different story! You can easily make one of these for your home to keep your home festive with minimal effort. No need to spend tons of money or time on Halloween wreaths and decorations. These ideas cost very little with some ideas from the dollar store! 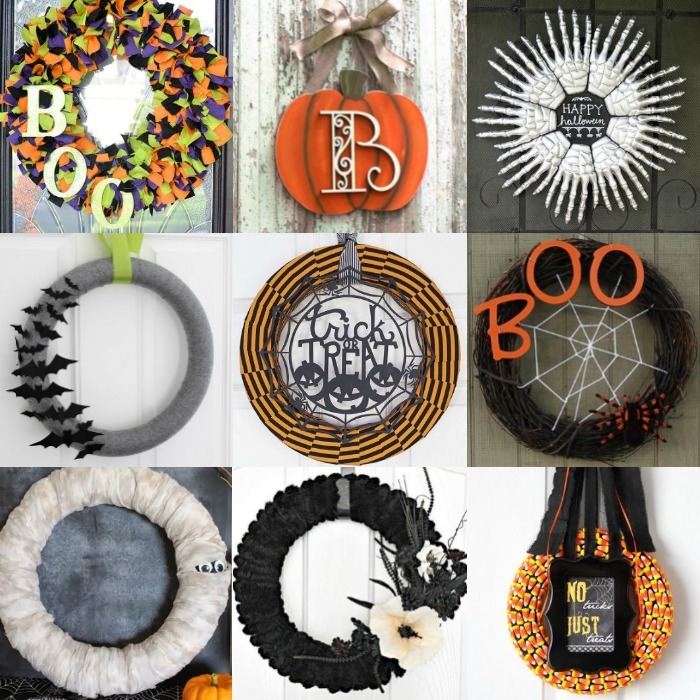 Choose one or several of these fun and festive Halloween wreath ideas. Your home will be ready for Halloween in not time at all. Get ready for trick or treat with these DIY Halloween wreath ideas. Your house will be the best looking one in the neighborhood with these awesome DIY Halloween wreath ideas. Supplies vary by the wreath you choose to make. However, almost all of these require a glue gun. You will definitely want to have a glue gun and glue sticks on hand for many of these wreaths. I recommend having an extra bag of glue sticks! It seems I always need more glue than I realize. I have learned to keep extra glue on hand. 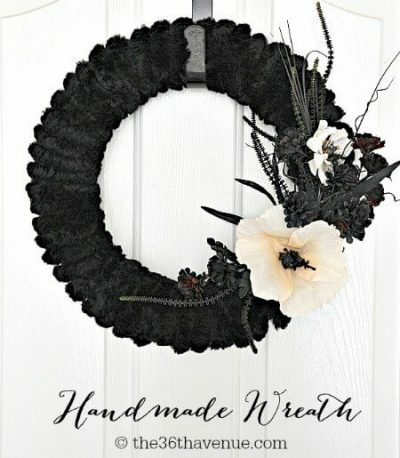 You might also want to pick up some black yarn, foam wreath form and grapevine wreath for your Halloween decorating. Each Halloween wreath tutorial makes it so easy to make your favorite wreath. Let’s get started with these great ideas. This one is very simple to make and you only need a few items to make it! The black crow really sets the tone and creates a cool looking focal point. Tulle is so fun and versatile. Make this wreath with inexpensive tulle and compliment it with purple and gold accents. A simple foam base and a few craft items and you are set to make this cute wreath. I love the furry yard! 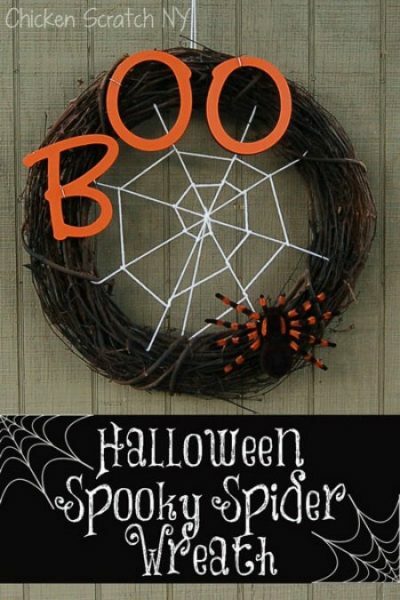 Spider Webs go hand and hand with Halloween and the “Boo” letters make it so cute! This spider wreath is so cute and the spider adds a cute touch. This idea is so clever with the hands and it’s all from the Dollar Store! If budget friendly is your goal, this idea is sure to come in under budget! It doesn’t get any simpler than this! 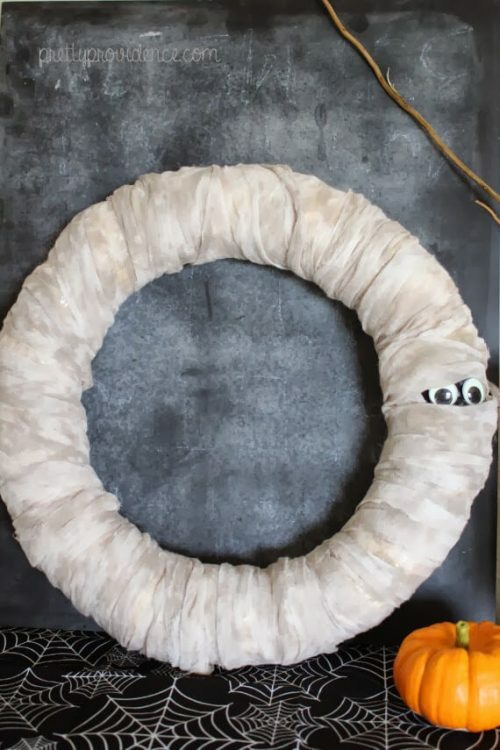 Find some cute Halloween ribbon and wrap this wreath. Monograms are so popular and this one can easily take you through Thanksgiving as well. More for you money. Yeah! Googly eyes are just so fun! 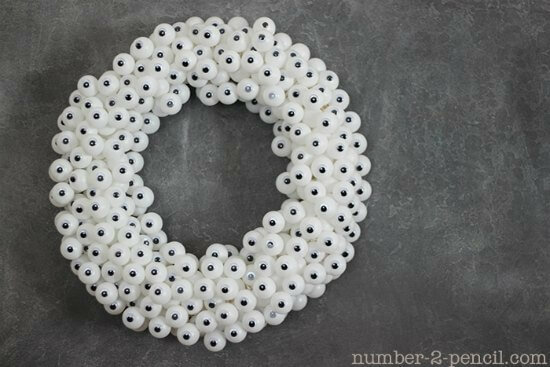 This idea is so creative with all of the “eyes” on the wreath. 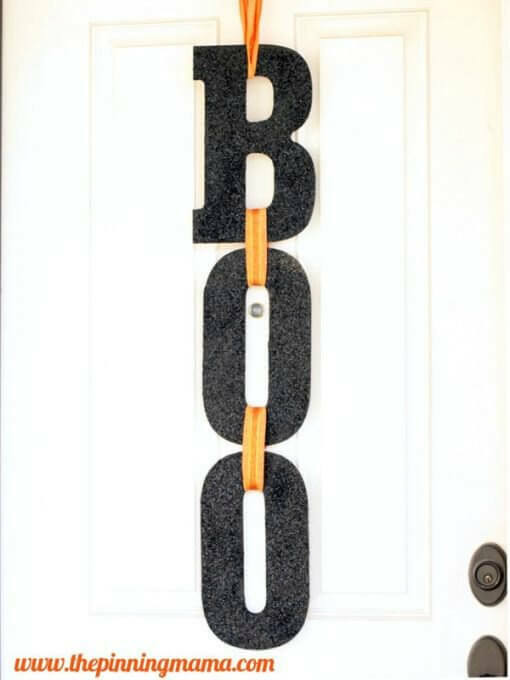 Make a Boo sign with letters and pretty ribbon. Quick and easy! The black glitter is so sparkly. 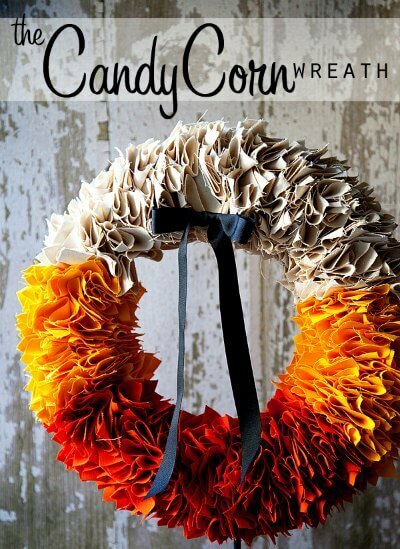 This ombre wreath in candy corn colors is such a fun idea. The black bow just pulls it all together. Glue lots of festive Halloween balls to make this look. 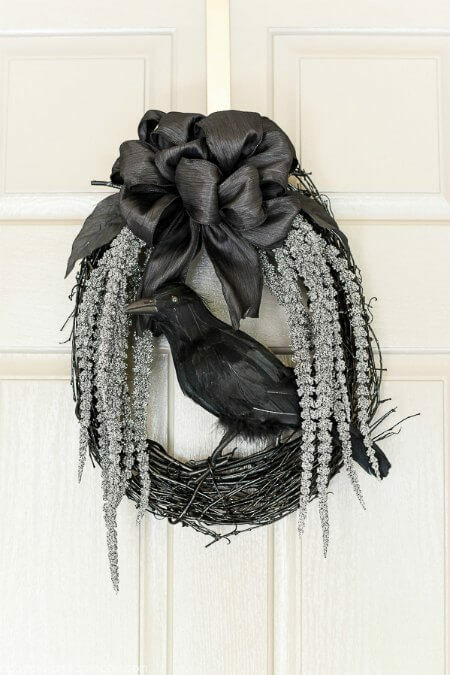 Add black feathers to fill in the gaps for a gorgeous Halloween wreath. Truly it doesn’t get any easier than this and it SO cute! You can’t help but giggle at this one it’s so adorable. 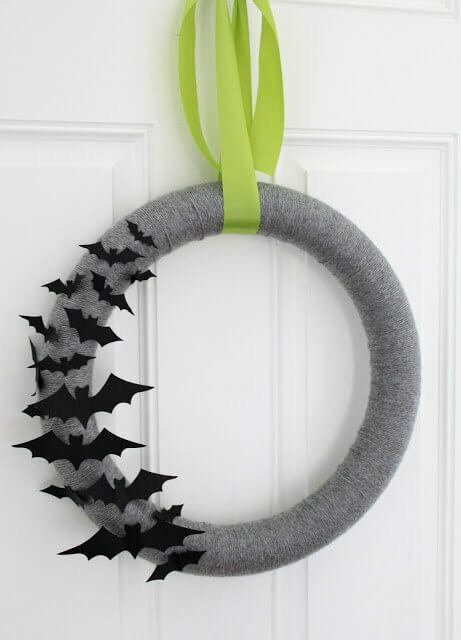 Arrange bats on this custom wreath for a simple yet fun design idea. The black and grey is so classic and clean looking. Purple, green and black make one of my favorite color combinations for Halloween. Get the kids to help with this one and it will come together quickly with all the fabric pieces. 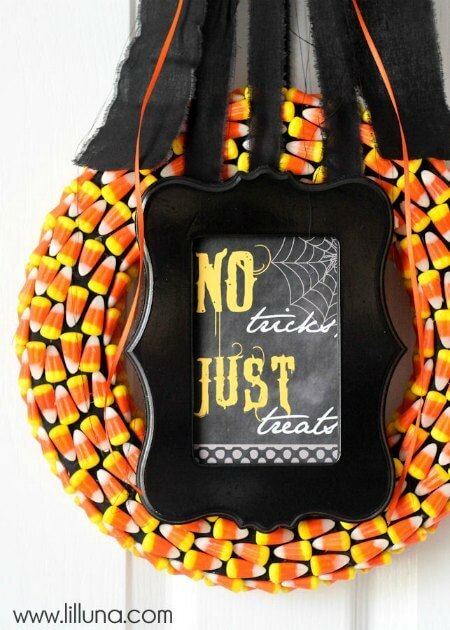 Candy corn and this pretty frame make an awesome front porch wreath. I love the idea of using the frame! 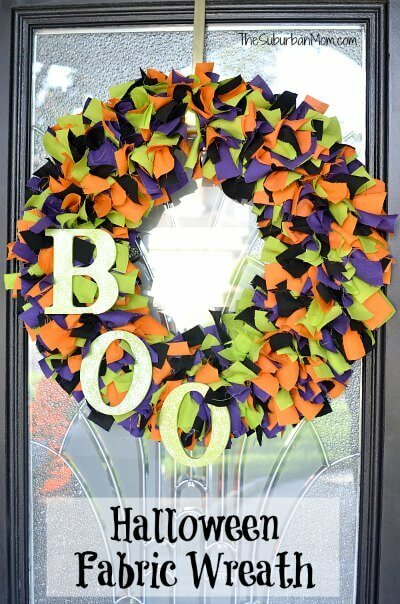 I have several DIY Halloween Wreath Ideas on my list to try! Let us know which ones you decide to make. 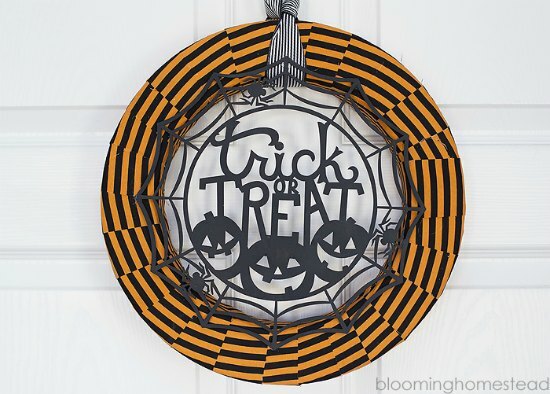 Trick or Treaters will be so excited when they see these cool wreaths on your door. 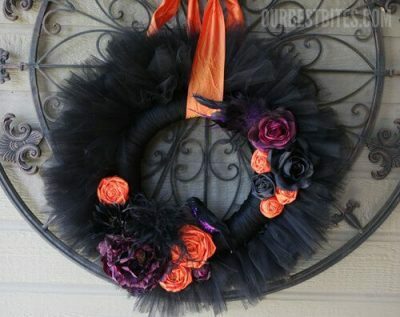 With so many pictures of Halloween wreaths that look amazing, it is hard to choose only one! You might want to make one for a friend. I bet it would really make their day. Plus, you can try out several wreath designs in the process. 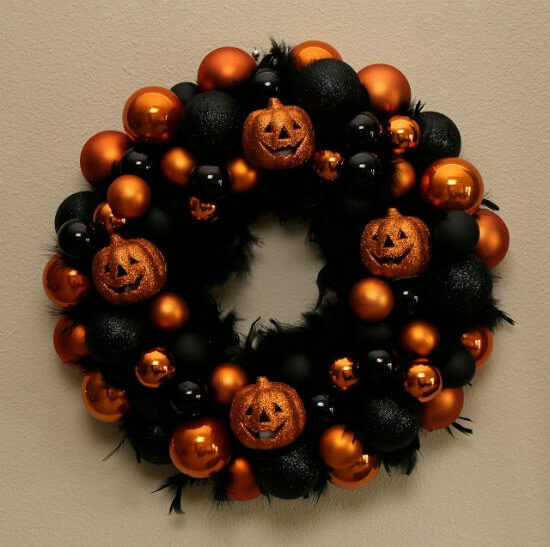 If you are short on time try looking for Halloween Wreaths for sale. I spotted several cute wreaths on Amazon. These are perfect decorating ideas. 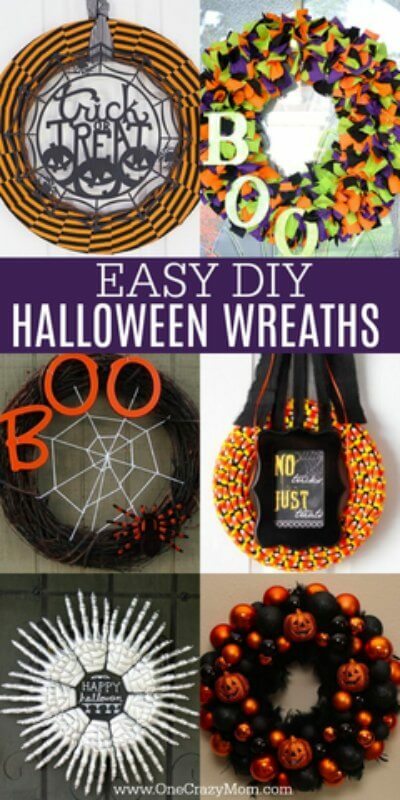 You can also try Halloween wreaths Michaels ideas for more options. 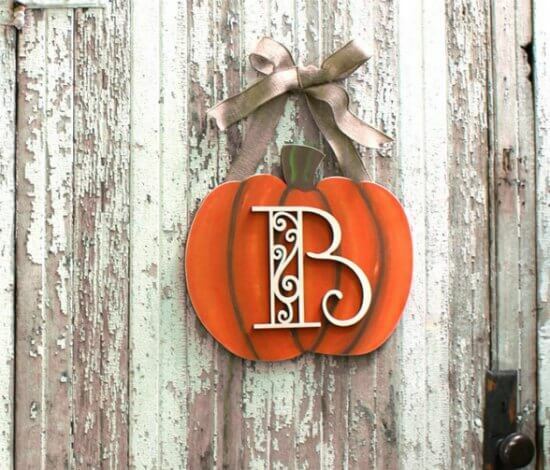 Decorating ideas include using mini pumpkins, pumpkin wreath and more! Here are 15 easy Halloween Appetizers sure to be a hit at your next Halloween party. Choose from sweet and savory appetizer ideas that are fun to make and even tastier to eat! Also, Halloween party games for adults are not always easy to come by. Find 5 Halloween games for adults they will love. Halloween is so fun to plan for and we just love it. We enjoy throwing Halloween parties for the kids and it’s a great way to make memories. Great collection! Thanks for including my Pumpkin Monogram Wreath project!